Hello, hello! It’s Friday, it’s a 3-day weekend, summer is almost here…there is a lot to be happy about today! May has been a whirlwind, and I for one am excited about the long weekend. If you’re looking for some last minute Memorial Day inspiration, go back and checkOUT last Friday’s post for lots of great ideas! Though we aren’t expected to have the best holiday weather here in CT, it feels good to know that Sunday night won’t be here until Monday night! I’m also excited that school is winding down and that summer will be here soon. I’m ready to get outside more, hang by the pool, garden and grill! For today’s checkIN and checkOUT I’m rounding up some great grilling recipes so you’ll be ready when it’s time to fire up the BBQ! But first…just want to throw this out there…if you’re still needing an end of the year gift for your kids teachers, don’t panic! These are a fun and unique away to let your child’s teacher know how much they’ve meant to you this past school year. Personalized gifts are always a hit and once you place this printable in a cute frame, you have a great gift that a teacher can display and treasure always in their classroom. This Grilled Mexican Sweet Corn from Alyssa over at The Recipe Critic looks just like this amazing side dish we always order at our fave Mexican restaurant. I can not wait to try this one! I don’t grill steaks too often because, quite honestly, it intimidates me! Everyone likes their steak a different way and it’s hard to judge the meat’s doneness. But one of my fave food bloggers, Kristin at Iowa Girl Eats, gives great instructions in this amazing looking recipe. That herb butter? Yes, please! I’ve been making a salad similar to this for years, but I love the idea of grilling the watermelon first. Danae, from Recipe Runner, might just be on to something here! Um, did you think the grilling goodness would come to an end when I got to the cocktail portion of this week’s checkIN & checkOUT? Well, I love a good theme, so I had to keep it going with this incredible looking beverage. Thank you Erin at Platings & Pairings for sharing this amazing recipe! I hope you enjoyed this week’s list! Make sure you head out this weekend and get those propane tanks filled or restock that charcoal so you can get busy making some of these amazing looking recipes! And please come back and checkIN next week to checkOUT some more great finds! And if you get out and grill this weekend, please snap a pic and share with me on Instagram with #checkincheckoutfriday! This entire post literally made my mouth water!!! YUM!!!! Awesome! 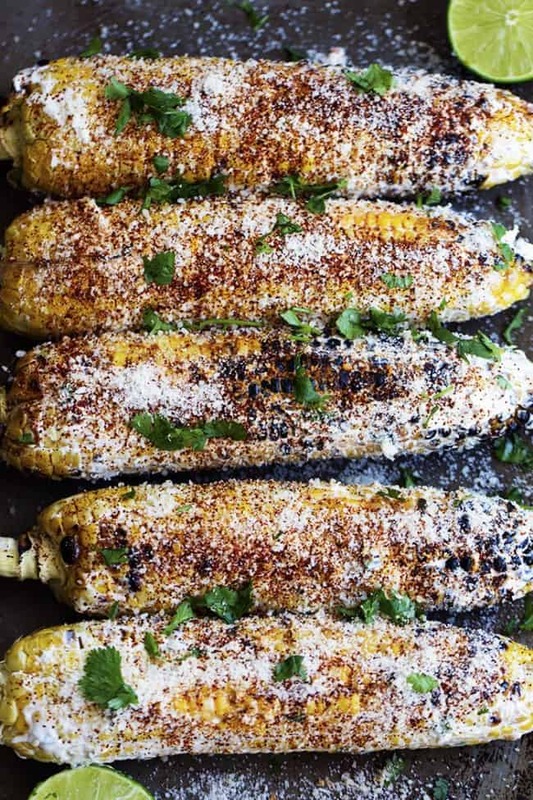 I needed a recipe for a cookout this weekend and that corn looks like just the thing. Thanks! Yay Mikki, I’m glad! Have a great holiday weekend and enjoy your cookout! 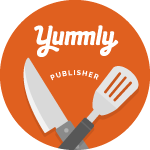 I think you just made my whole menu for dinner one night this weekend! That all looks so delicious! Yay Annie! That was my thought!!! Let me know how it all is. You always have the most drool worthy photos haha – yummmm! When I collect ideas for these posts I always seek out great bloggers who have beautiful photos to go along with their delish recipes!